Yesterday I grabbed a container of yogurt, some granola, an orange and a banana. I ate the yogurt with granola, but not the fruit. Bad. Today, I woke up late, but managed to pull together a salad. The lettuce was a bit old, but it is still editble, and I had some things pre-chopped to toss in, and spent just a few minutes cutting up some bits of onion and grape tomatoes. Delicious. I really like the dressing a lot. 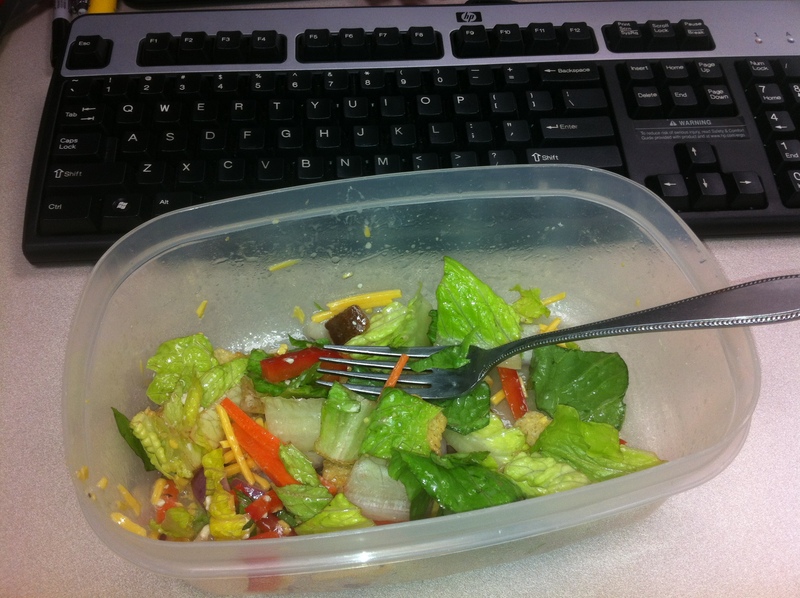 This entry was posted in life hippy, Uncategorized and tagged Adult_Brown_Bag, Lunch. Bookmark the permalink.